The DB100 Hearing Aid Dry Box by Amplicomms uses advanced technology to service hearing aids and cochlear implant processors. The DB100 is a sophisticated and compact storage box, keeping the hearing aids dry from moisture and clean from bacteria. In addition, the DB100 Hearing Aid Dry Box uses gentle heat to remove moisture and condensation and a powerful UV light which inhibits the growth of bacteria, microbes which may cause itchyness. Therefore the DB100 - Hearing Aid Dry Box is very environmentally friendly, by making expensive chemicals and dessicants redundant. 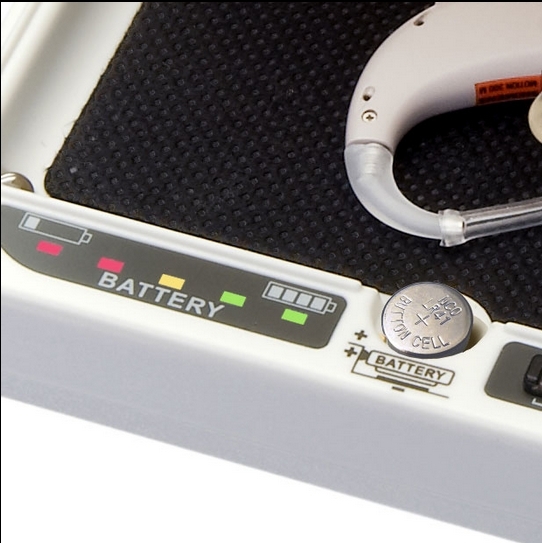 Furthermore the DB100 Hearing Aid Dry Box offers a built-in battery tester, so there is no need to throw away batteries pre-maturely and wasting money. 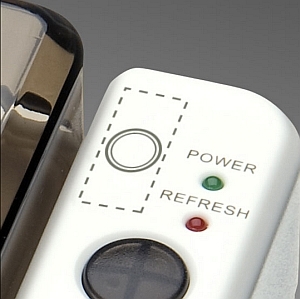 The DB100 Hearing Aid Dry Box is very easy to open, even for people suffering from arthritis. With its compact and lightweight design, the Hearing Aid Dry Box is ideal for the use at home or on the road. 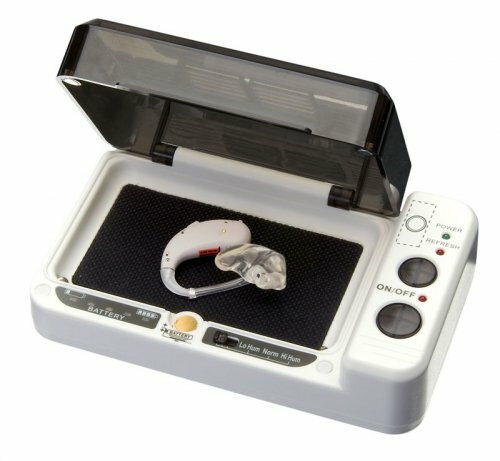 The DB-100 Hearing Aid Dry Box acocommodates up to 2 pairs of hearing aids or Cochlear implant processors and is supplied with a power supply and instruction manual. Buy the DB-100 Hearing Aid Dry Box Now at Healthandcare.co.uk for Only £49.99 Inc VAT & P&P!